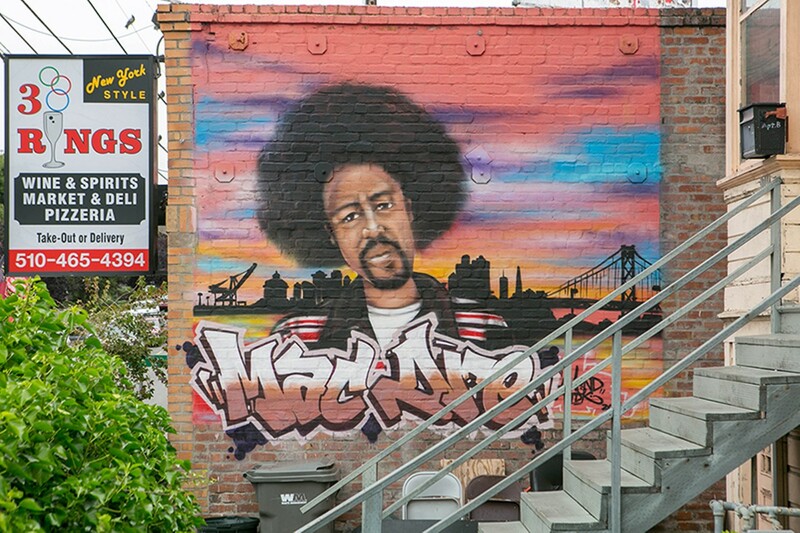 In 2004, the late Andre Hicks, better known as the revered Vallejo rapper Mac Dre, issued Ronald Dregan: Dreganomics. The album cover bore a faux-campaign poster, replete with a few clichés of political boosterism: Dregan's wide grin, a thumbs-up, and a billowing American flag. On the title track, Dre, in character, caricatured Ronald Reagan's hollow rhetoric and added a cheeky hook: Follow me now, let me lead the way/If you gonna believe in something, believe in Dre ... /Royal, spoiled, it's the American way. Deandre Mitchell, an emcee who grew up in Richmond, admired Mac Dre's satirical bent, how the rapper adjusted voice and persona to suit lyrical goals, whether that was ridiculing neoliberals, stylizing himself as a chic mafioso, or just whimsically celebrating drugs. When Mitchell started rapping in the early 2000s, he similarly adopted different lyrical voices. He had his own presidential spinoff — Lazadore Roosevelt. His repertoire also included Pimp Snuffy Nose, and a generously auto-tuned lothario, Bobby Lazentino. His go-to rap moniker, however, is Laz Tha Boy. 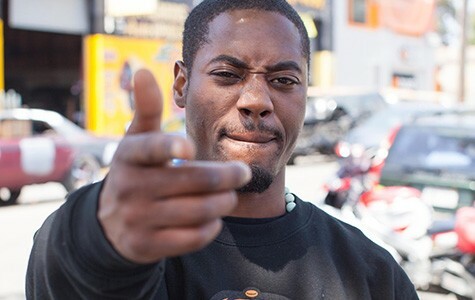 In a recent interview, Mitchell described his initial forays into the rap game with fervor and pride for a burgeoning creative community. "There was me, the A Team, The Block Boys, Nio Tha Gift," he remembered. "That was the new generation — and everyone around us got a job. We needed a cameraman, someone to record, make beats, do promotion, and hand out CDs. "The Bay Area in general is known for independent hustle," Mitchell continued. "That's what we did." People responded more to Laz Tha Boy — the grinning gangsta rapper sporting gear from his own clothing line, AOB University — than to Mitchell's other personas. 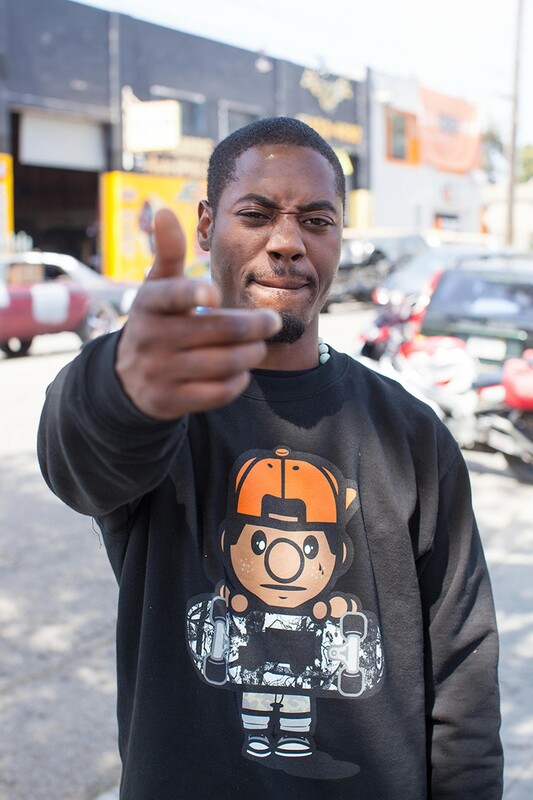 Spanning a career that continues to this day — he recently collaborated with standout HBK Gang emcees Iamsu! and Kool John — Laz Tha Boy's music videos garnered hundreds of thousands of views. Trouble is, a lot of those clicks came from Richmond cops and Contra Costa County prosecutors, who've cited his music videos in multiple criminal trials. In fact, law enforcement officials made Mitchell's recorded in-character utterances their evidentiary cornerstones in a grand jury proceeding for attempted murder, punitively enhanced for alleged gang membership, brought against Mitchell and two co-defendants in 2012. In the grand jury proceeding, the prosecutor painstakingly avoided any depiction of Mitchell and his community in terms of creativity, art, or entertainment. Instead, prosecutor Satish Jallepalli elicited testimony from Richmond Police Department gang detectives that depicted Mitchell and his collaborators not as a creative community, but as a criminal enterprise; Mitchell's lyrics not as figurative language, but as evidence of motive and a lack of moral character; and his music videos not as promotional tools mimicking mainstream genre convention, but as unambiguous proof of membership in a gang called Deep C.
According to a transcript of the grand jury proceedings, Jallepalli, a deputy district attorney for Contra Costa County, introduced five music videos as evidence in the case. He called them "gang videos." Jallepalli's expert witnesses — those who took the stand to expound on hip-hop — were Richmond police gang detectives. 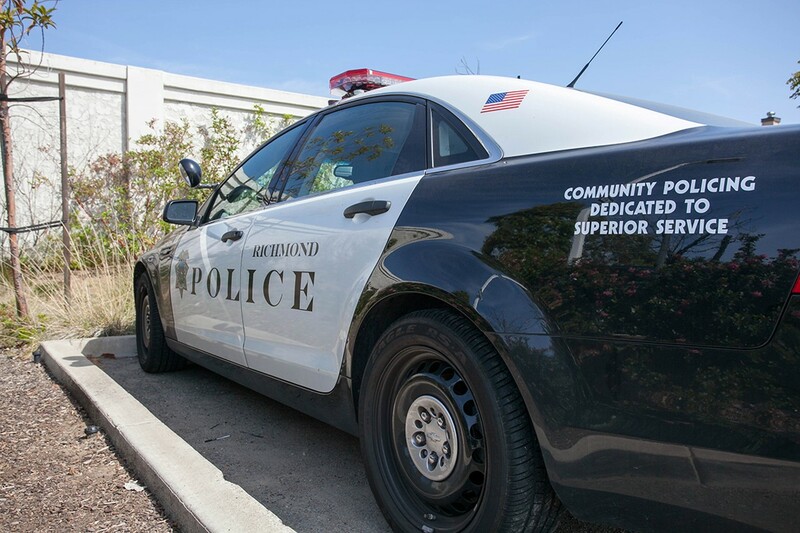 Jallepalli questioned Richmond Police Detective John Lopez about the meaning of dozens of phrases, regardless of their connection to the alleged crimes. Lopez claimed that "to 'ride' is to shoot. ... If you're a rider, you're a shooter." At another point, Jallepalli asked, "What does ['do it for the block'] mean?" Lopez responded, "Doing it for your — in essence, Deep C, whether it be crimes and/or shootings." At the end of one music video, the phrase, "Lean in peace Robby Ross" appears on the screen. The police detective testified that the deceased Ross was a gang member, claiming that the common practice in rap of memorializing a dead friend amounted to a confession of gang activity. The grand jury indicted Mitchell on all counts. 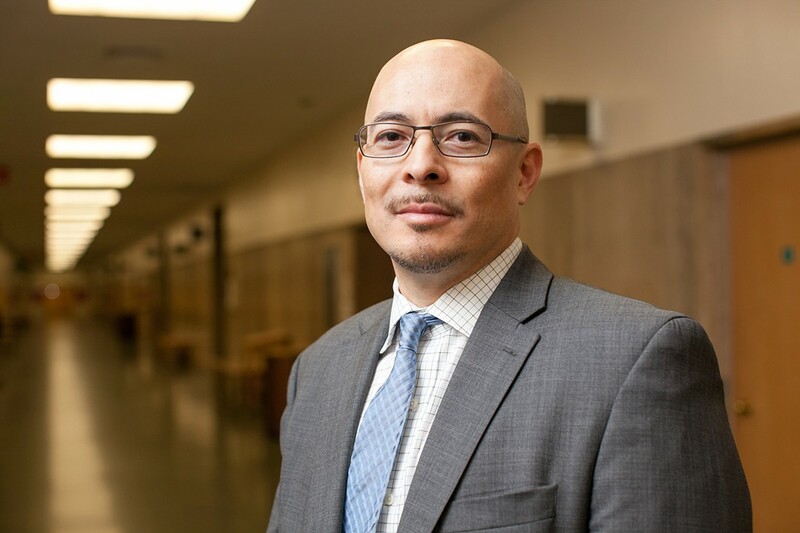 John Hamasaki, Mitchell's attorney, filed to dismiss the indictment, arguing that a litany of procedural gaffes infringed on his client's right to a fair trial. The victim and key witness identified Mitchell only after changing his account of the shootings several times, Hamasaki noted, and witnesses with contrary accounts of the alleged crimes were not sought for testimony. Crucially, Hamasaki argued that the use of Mitchell's music as evidence was unfairly prejudicial. Hip-hop vernacular is complicated. It evolves swiftly, resists indexation, and its proponents prize lexical innovation, all of which makes it susceptible to misinterpretation, accidental or otherwise. Rap, an expressive form rooted partly in competitions tellingly called "battles," often intimates violence, intimidation, and boisterous narratives of unlawful activity, but in Mitchell's case and others brought throughout the Bay Area in recent years, cops and prosecutors' use of lyrics and music videos has appeared carefully calibrated to vilify defendants and preclude any consideration of rap as art. "In Deandre Mitchell's music," Hamasaki continued, "there's a lot of talk about where you're from. Representing your neighborhood is one of the fundamentals of hip-hop, but the prosecutors call it gang turf. Well, that's where he was raised. That's where he came up, and with the sort of poverty in areas where hip-hop is produced, your neighborhood is all you have." Erik Nielson, a professor at the University of Richmond in Richmond, Virginia who has extensively researched the use of rap evidence in criminal proceedings and has appeared in dozens of cases, including capital trials, as an expert witness to counter the damning interpretations of rap lyrics offered principally by cops, said prosecutors are increasingly turning to rap lyrics and videos to put young Black men behind bars. 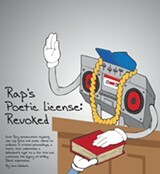 "Now that rap is mainstream, you'd think that this would be the point when these misunderstandings would stop," he said. "And yet we're seeing it more and more often."